About 7 years ago, I had a closet full of bath and beauty necessities. Shampoo, deodorant, soap… you name it, I had it. It was like my own personal convenience store. The best part, I had paid practically nothing for all of it, thanks to couponing. Once I got pregnant with my youngest, I stopped. 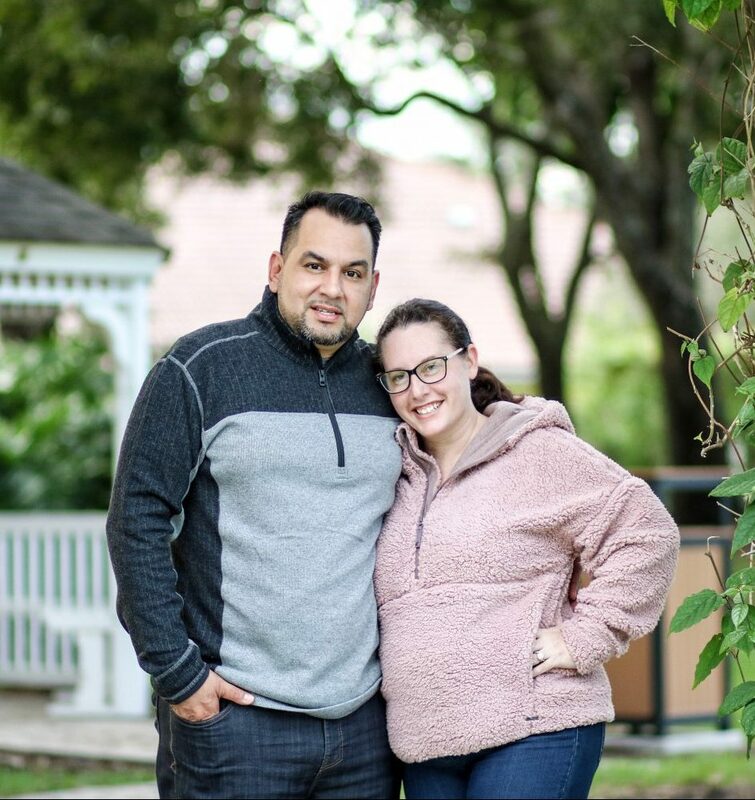 We had enough to last us for a few years and let’s face it, with a newborn, I was in no hurry to wake up early, spend time searching for deals, clipping coupons and shopping. I just wanted to sleep. About a month ago, I decided that I was ready to get back into couponing. We had finally run out of everything and since we only had one steady income coming in, I wanted to do my part to help my family save money. I got my two older girls involved and they helped me look for deals, find coupons and make our lists. We woke up at 6am, headed over to our local CVS and I taught them how much fun it is to save money. And then my husband got the phone call that we’ve been afraid of for years. He was let go from his job. At first I didn’t want to believe him, but once reality set in, I realized that we were in trouble. While my blogging career is incredible and the most fun I’ve ever had, nothing is guaranteed so not having a steady income at all scared the crap out of me. We immediately went into panic mode and planned out our meals for the week, gas and bills, leaving us with $20. We spoke to our 2 oldest daughters and explained the situation. It was hard and there were tears (from me). I have always wanted to give my girls everything they needed and now we are in a situation where we need to tighten those purse strings and for an 8 and 12 year old, that may be a little hard to understand. On Saturday, my 8 year old asked if we would still be able to go couponing. She has already become excited about it and I knew I couldn’t disappoint her. So we sat down, made a detailed list and headed out first thing yesterday morning with our coupons and our last $20. We came home with $107.79 worth of goodies. And we paid $3.52 for it all, which was retail tax. PLUS, I received $17.50 in ExtraBucks Rewards for our next trip and I received another $.50 from Ibotta in rebates. It was our best couponing trip ever. We must’ve high-fived about 20 times in the car. There was so much to celebrate. Not only because we had gotten so much for so little, but because it was a glimmer of hope in this sad and scary time for our family. If we plan and get focused on the things we need vs. the things we want, we will be ok. I know we aren’t the only ones going through something like this, so I wanted to share my knowledge of couponing, in hopes that another family can save some money and gain a new hobby that will help them to live an easier life. Get a CVS Extracare Card: If you don’t already have one, go and get one. They are really easy to sign up for and they’re FREE. You’ll need one to get all of their best deals and to earn ExtraBucks Rewards. You’ll also be able to scan it at the store for some additional savings! Every quarter, you’ll receive bonus rewards just for shopping and you’ll receive rewards for beauty products throughout the year. Download the CVS app: Connect your CVS Extracare Card to the app. You’ll be able to check out the weekly ad (Sunday’s ad is available days before so you can plan). There is a coupon and deals section on the app. Scroll through and add any coupon you might purchase to your CVS Extracare card. Adding coupons to your card will allow you to use these coupons with just a scan of your card at the register. No clipping and no worrying about losing them. Scan the Weekly Ad: Go page by page and search for the best deals. What I love about CVS is that they actually tell you when there is a coupon available on their app or in the local paper. What I do first, is look at all of the items that offer you ExtraBucks Rewards. If they have a great deal, a coupon and ExtraBucks Reward, even better. Their weekly ad will let you know how much you will pay after your savings and rewards. My favorites are the “spend $30, get $10 ExtraBucks Rewards.” They are often things we all need, like toilet paper, paper towels, laundry detergent, etc. Make a List: Make a list of all the things you are getting. Write down the retail price, what coupons are available (or you have already) and how many ExtraBucks Rewards you will get. This will help to determine how much you’ll pay out of pocket. Just a heads up, you will pay something out of pocket that first trip since you won’t have any rewards yet. Try to take advantage of the ExtraBucks Rewards deals! You’ll be able to use those rewards on any future purchase. Search for Coupons: If you buy your local Sunday paper, there are usually around $400 in coupons in each insert. We try to buy one paper a week. You can also search online for printable coupons. The easiest thing to do is google “[brand name] coupon”. Make sure you check the size/qty to make sure you can use that coupon for that particular deal. For example, if the special is on 50 oz detergent and you find a coupon for 80 oz+, you won’t be able to use it. 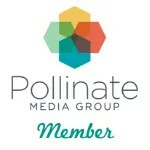 Check out coupondivas.com, coupons.com, redplum.com, and smartsource.com – all printable coupon databases. My recommendation is print anything you might possibly buy and print 2 of each (that’s the max per computer). While you may not be buying that particular product during this trip, they may have a deal on it next time and you’ll be glad you have that coupon in hand. Join Ibotta: Lastly, you must join Ibotta! I JUST found out about it on Friday night and within 24 hours, I had already racked up $27.75 in rebates on things I had already purchased that week. Once you’ve downloaded the Ibotta app, you can search for deals. Just like the CVS app, you add those deals to your Ibotta account. Within a week of purchasing any of the products, you take a picture of your receipt and claim money back on those items. And once you hit $20, you can cash out! It’s literally the best thing ever and I’m sad I didn’t know about it sooner. Right now, you can qualify for a $10 welcome bonus just for signing up and redeeming at least $10 in rewards. PLUS, this May, everyone who refers at least 2 friends will split $100,000. Want to share $100,000 with me? Sign up today! I hope these tips helped. I’m more than happy to answer questions. Just leave me a comment below! This post is not sponsored; however it may include affiliate links. Back in 2012 or so, I had a huge coupon book, I still have it somewhere, all the coupons would be expired by now. I still am part of the couponing group, they’ve graciously kept me around. My best score was a short overage at Walmart once, the manager double checked everything several times. But in more cases than not, I was spending more money couponing than saving, leaving me quite envious of my friends South of the border with these amazing hauls. I remember when you got me into couponing! It was so much fun!! I was able to get so many diapers before I even had Luke, talk about a money saver!! I only discovered the magic but I still need to learn a whole lot to get to that level. I can use all the massive savings for sure! My dad will leave out his best couponing receipts so we can all see his savings. But he’s not ever done anything nearly as amazing as you did. I’m sure it’s a tricky time, but together with your family you can make it through the tough times like you did with your amazing couponing success. I’ve been getting into couponing a lot lately. I’m always looking for ways to save money and couponing is a great start! By me, super couponing is no joke. I have tried to go and get the deals and CVS is always sold out. I didn’t know you can get so much from couponing. That is so amazing to know. I love CVS and iBotta too! I stocked up on shampoo, laundry detergent and diapers using coupons. I saved a ton of money. Such a great way to save money and couponing things sound good to me because I want to save a lot. And I totally agree with you, we need to know what we just need versus on what we just want thank you for sharing this with us. You did get a lot of stuff from couponing. I must say that is really smart. Good of you to involve the kids too. It is good to let them understand the realities and practicalities of life though sometimes it is difficult. Wow, that’s some good couponing! Ibotta currently isn’t available in Canada (boo!) but I do use Checkout 51 which is similar. First, I’m so sorry to hear about the job loss. The couponing though…that is amazing! 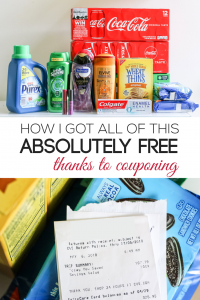 I’ve never really understood couponing and have always wondered how people did it! Thanks for sharing! Coupons are a life saver! CVS always has such great deals! I love CVS. I always score great deals, and I love their Extra Bucks. I need to get better at my game, though. I used to love couponing. I should start again. I will tell you though, I know a lot of people who coupon a lot at CVS, but I never found I was able to. I just love saving money at the grocery store. I bet it was a thrill to save that much. I am all about getting the deals but I need to start upping my coupon game! This is great, thanks for sharing! FREE?! That’s the best way to save on essentials. I think this is awesome especially for people who shop at CVS often. Thanks for sharing how you did it! So helpful! Absolutely awesome! I love couponing too but have been slacking lately. I will have to get back to it. It saves a lot of money. Ibotta is such a great money saving tool. I use it all of the time! That is amazing. I have not mastered couponing yet, I so need to. Love that you were able to master this and get everything free. I am a couponer! I love seeing the savings on the bottom of my receipts. This is a huge haul! That is absolutely amazing. I don’t use coupons, so I am always impressed when people get rewarded for all their hard work like this. Years ago, right after my youngest started school, I got into couponing. I even took the Southern Saver’s class when she came within a couple of hours of our house. I was ready to save! I did well a few times, but nothing free. But then I started running into that when the coupon pages were supposed to be in our paper on Sunday’s, according to their website, they weren’t. I thought it was a fluke a couple of times, but then it was constantly on repeat. So I stopped couponing. These days you don’t have to rely on Sunday papers for coupons. They are all over the internet and ready to print! Free isn’t something that will happen right away. It takes time and practice! This was my 4th trip in a month. I always get good deals at CVS and get many extra bucks. I need to join Ibotta it sounds like a great way to save and get the things we need. I had no idea Ibotta even existed. It’s like getting rewarded for shopping for things you were buying anyway. So cool! You really saved a lot of cash! I’m always saying I’m going to start couponing but I never have. After seeing your amazing results, I really need to do it.